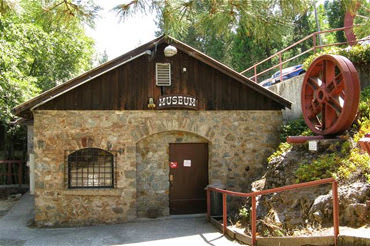 North Star Mining Museum 10933 Allison Ranch Rd./S end of Mill St., (530) 273-4255. W-Sat 12-4; closed Nov-Apr. By donation. This museum is located inside a rustic 1895 stone building that once was the power house for the North Star Mine. 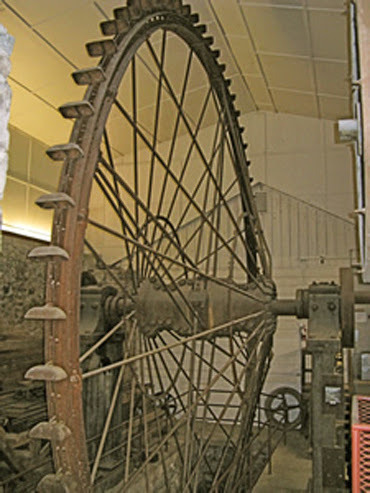 It displays a collection of old photographs, mining dioramas and models, and a 30-foot-diameter, 10-ton Pelton water wheel dating from 1896--the largest such wheel ever constructed. 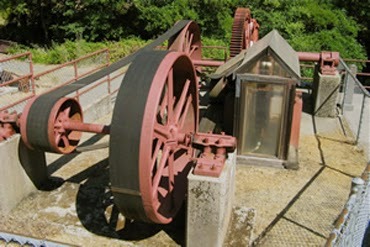 It also displays the country’s largest operational Cornish pump, which was used to remove water from mine shafts. An assay room, blacksmith shop, stamp mill, and dynamite-packing machine are also among the exhibits. A grassy picnic area is located across adjacent Wolf Creek in Glenn Jones Park and accessed via a beautiful rock footbridge. The Julia Morgan-designed North Star House is being renovated and meanwhile is a site for special events. More cats in exotic places.